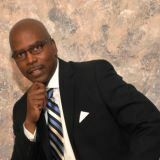 Antonio Cheeks is a certified wellness consultant that helps leaders and high impact professionals increase performance and raise the passion and energy levels of their teams. Antonio is the author of the book "Not Another Workout" and has been featured in media outlets, such as Voice of America TV, The Washington Post and ABC News, Sports Talk with Glenn Harris. Leadership is influence. There should be no separation between your public leader life and your personal life. Character is constant. Self-Leadership is a 360 degree job like a compass, a leader must learn to lead down or south, but also north, east and west. Leaders need CPR. If the leader is healthy, he or she will create a healthy and productive team. Thank you to our host and sponsor, CCBC, for hosting out event and sponsoring our breakfast! Copyright 2019 Hunt Valley Business Forum, Inc.
Association Website Solutions by SPARKS!